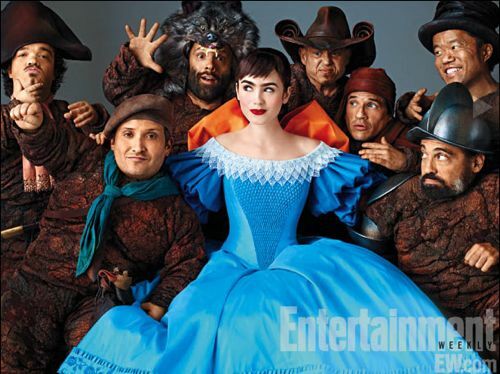 Director Tarsem Singh is bringing us a new look at Snow White with an outstanding cast. This colorful film is going to be comedic and classic… all at the same time. In Relativity’s Snow White, starring Oscar®-winner Julia Roberts and breakout star Lilly Collins (“The Blind Side”), an evil Queen (Roberts) steals control of a kingdom, and an exiled princess (Collins) enlists the help of seven resourceful rebels to win back her birthright in a spirited adventure comedy filled with jealousy, romance, and betrayal that will capture the imagination of audiences the world over. The film also stars Armie Hammer (“The Social Network”) as the object of their affection, Prince Andrew Alcott, and Nathan Lane (“The Birdcage”) as the hapless and bungling servant to the Queen. Snow White opens on March 16th… you know you will be there.